Leaked specifications suggest that the new GPU will feature a smaller 160-bit bus but offer the same number of CUDA cores. According to latest leaks, NVIDIA is working on a new 5GB version of the GeForce GTX 1060 GPU. Images of an alleged Gigabyte GeForce GTX 1060 5GB Windforce OC were published by Videocardz website suggesting that the new GPU is almost ready for launch. The report suggests that the GPU will use the same GP106 chip we have seen on currently available GTX 1060 GPUs. It is reported to consist 1280 Cuda cores, identical to the 6GB variant of the GPU. However, the card is supposed to have a smaller memory bus of just 160-bit, compared to the 192-bit bus available to both the 3GB and 6GB variant of the currently available version of the GPU. The leak also suggests that the alleged Gigabyte GPU will have a base clock speed of 1582 MHz (OC mode) and a boost clock speed of 1797 MHz (OC mode). The images suggest that the new GTX 1060 will also have the dual-fan Windforce cooling system we have seen on current gen Gigabyte GPUs along with an all black backplate. If NVIDIA launches this GPU, it will be the fourth iteration of the GP106 chip as there are already two variants of the 6GB GTX 1060. 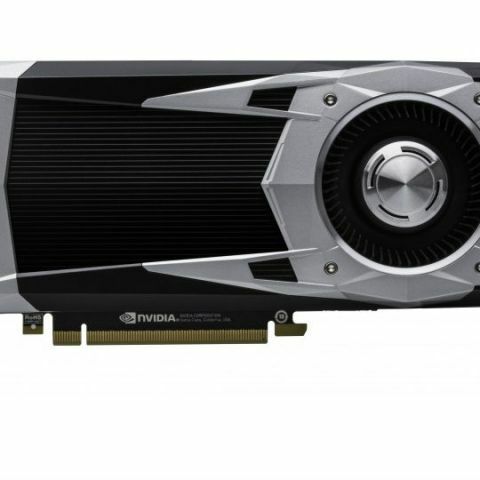 NVIDIA had introduced a newer version with faster memory (9Gbps) earlier this year. The mentioned GPU chip - the GP106 was cited yesterday on Expreview in its GP106-350 version and is suggested to be used on this 5GB version of the GTX 1060. The website suggested that it will be sold only in China and other Asian markets to be used in Internet cafes. However, Gigabyte’s version of the card showing up in leaks point towards a wider launch of this GPU. Now, whether it is required by the market is something we will see if and when the GPU is launched.